The anticipation behind Kickin’ And Screamin‘ has cast the spotlight on Strange Music’s Krizz Kaliko as he prepares to drop his biggest release yet. With all of the buzz, it looks like Block McCloud is once again reaching out to finally get some work in with Krizz Kaliko. Fans might recall that Block McCloud reached out to Krizz Kaliko over a year ago, revealing that he was a fan and wanted a collaboration. A diverse singer/emcee in his own right, Block McCloud is most known for his work with Jedi Mind Tricks supergroup, Army Of Pharaohs. 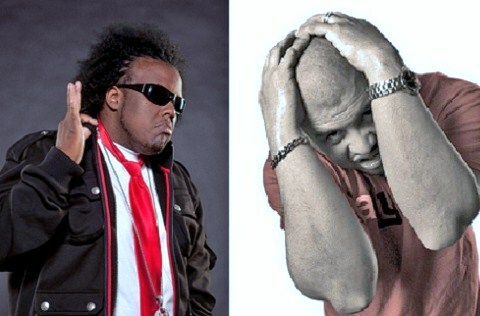 Krizz Kaliko’s reply to Block McCloud could mean that fans may finally hear the two on wax. Could the collab be locked in? Stay tuned for more from Krizz Kaliko! Do you think we’ll finally hear Krizz Kaliko and Block McCloud together?